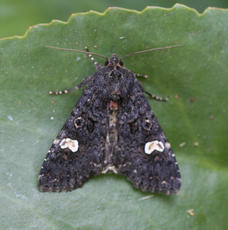 Wingspan 37-40 mm. 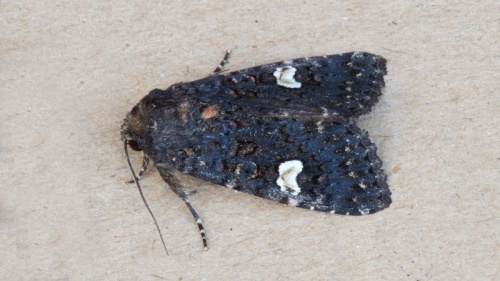 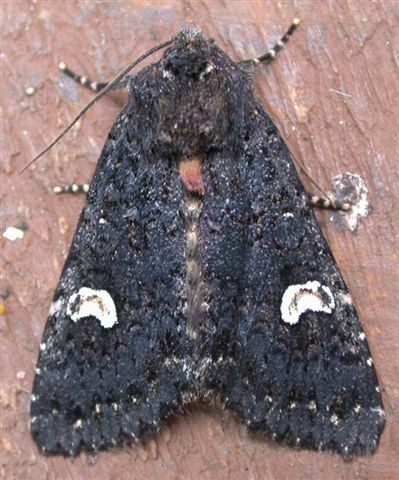 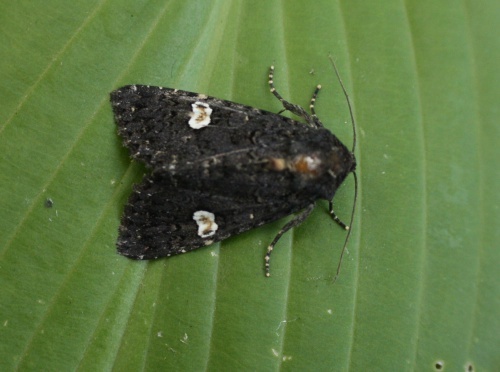 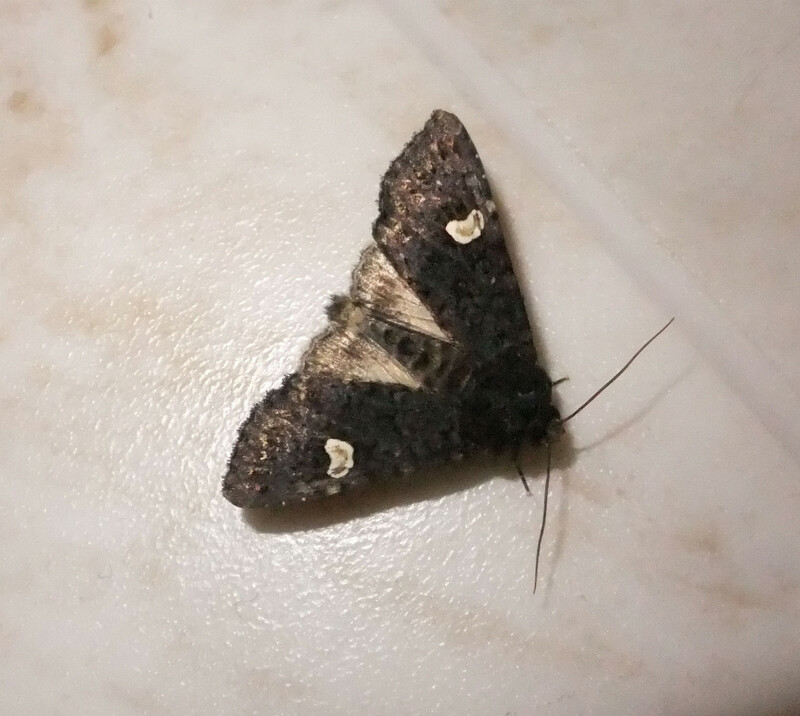 A dark coloured moth with distinctive pale dot on each wing. Frequenting a range of suburban habitats, including gardens, waste ground and roadside verges. 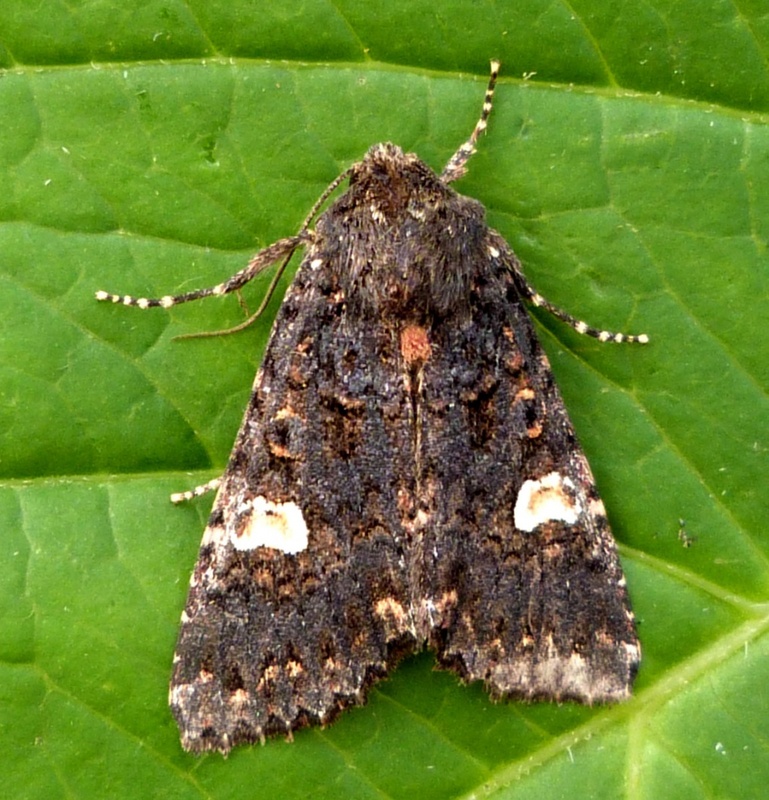 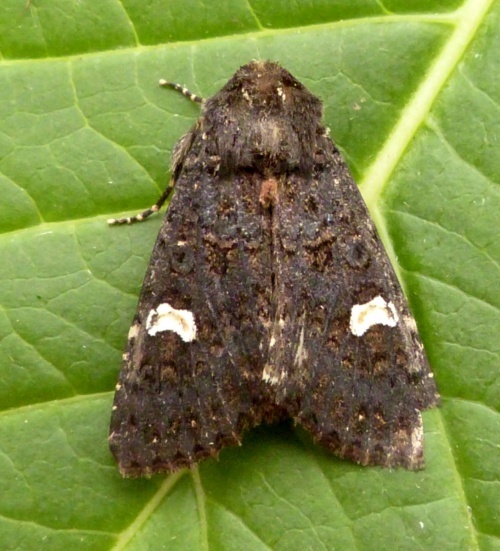 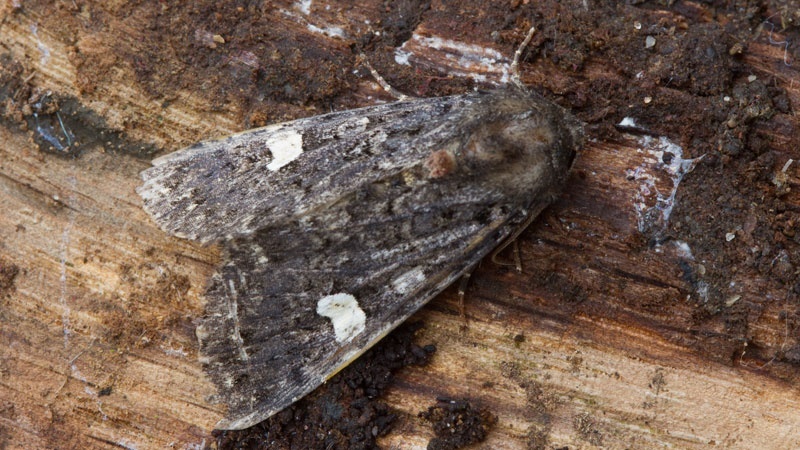 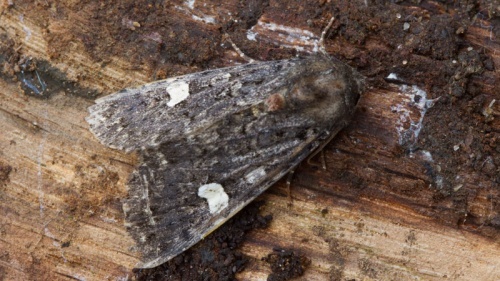 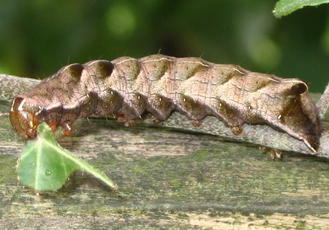 The adults are on the wing in July and August, and frequently visit the garden moth-trap. Although very common and widespread in England and Wales, this species is almost unknown in Scotland, except in the extreme south of the country where it occurs scarcely. 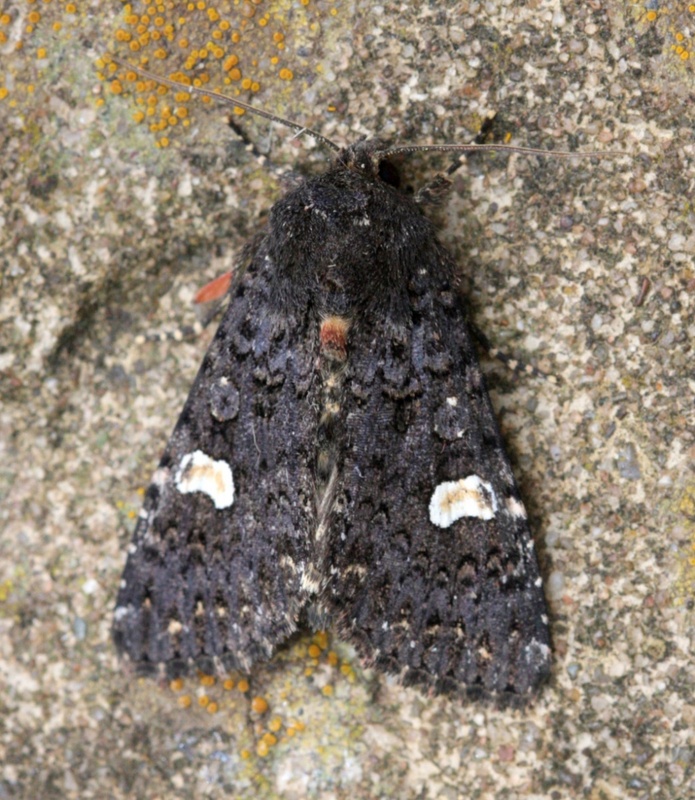 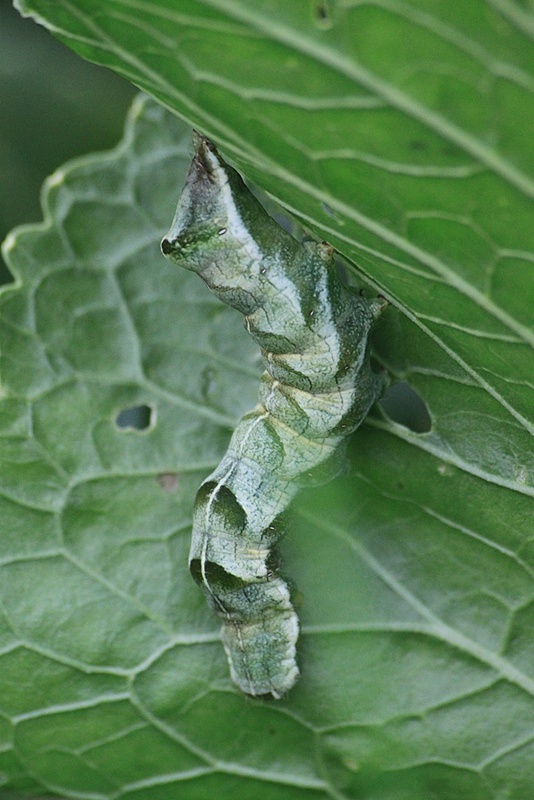 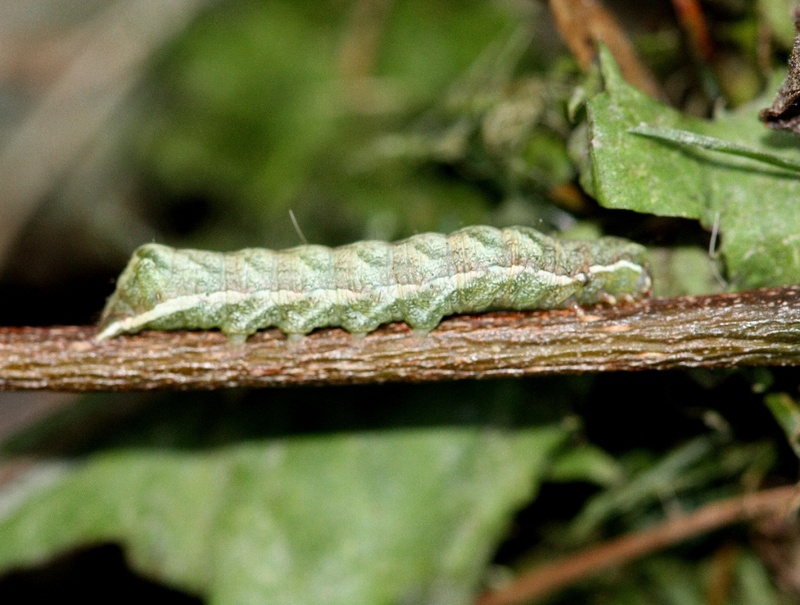 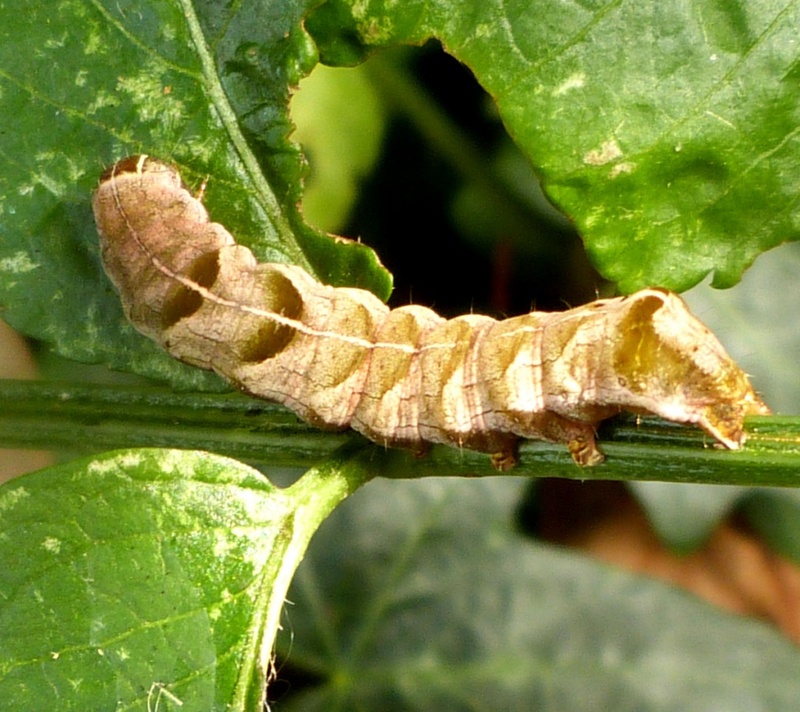 It is local in Ireland.In a recent survey to determine the status of all macro moths in Britain this species was classified as common.